REMEX Textile & Light Industry Co., Ltd.
Q: What's your lead time for a sample9 A: 10-15 days for new samples. Q: How can I you trust you when we try to cooperate with you 9 A: First, we are No. You can confirm with our customers who are cooperating with us. 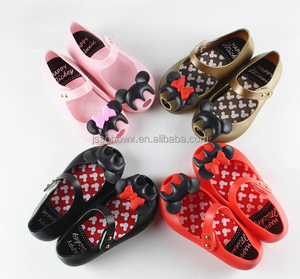 We are dedicated to making comfortable, healthy and charming shoes for babies all over the world. 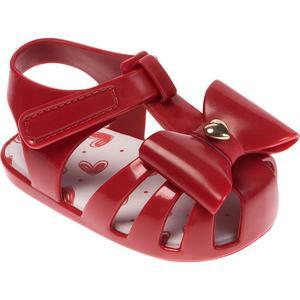 Antibacterium: Prevents the proliferation of bacteria and releases moisture when the shoe is removed. Packing Packaging Available in carton box or hanging case. Latest information will be updated to you. Others Pls contact us for further information : 1. Made of high quality raw material. 2 Various size, model and colors optional. 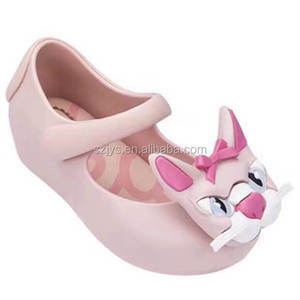 sweet cute fancy shoes kids melissa pvc jelly shoes kids jelly shoes Product Discription: Estimate size as below: 19/20 yard 11.8cm length, 21 yard 12.8cm length,22/23 yard 13.8cm length, 24 yard 14.8cm length, 25/26 yard 15.8cm length, 27 yard 16.8cm length. 28 yard 17.8cm length, 29 yard 18.8 cm length, 30 yard 19 . 8 cm length. We also have professional design team. 3.Lower MOQ,300pairs for bulk production,1 pair for wholesale. 3. MOQ:300 pairs for mass production,1 pair for wholesale.